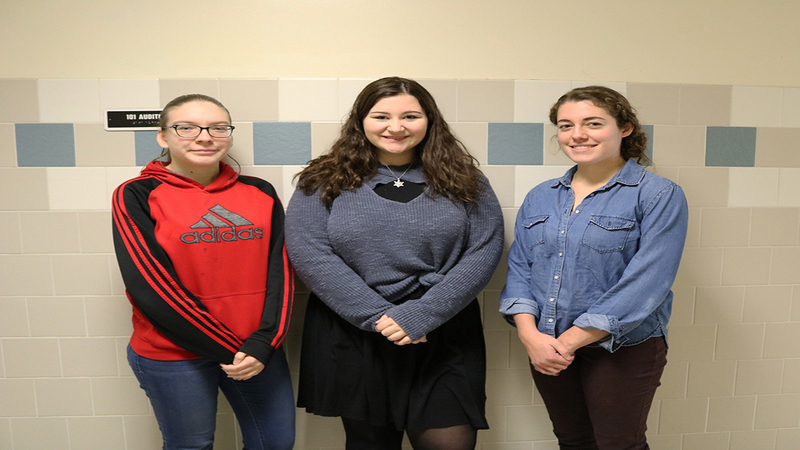 Three North Rose-Wolcott High School chorus members performed at the NYSSMA senior high area all-state festival this weekend. Students from surrounding counties were selected to participate in the festival, held at Webster-Schroeder High School. Dominique Warring, Kennedy Jones represented NRW in the mixed chorus group, and AnnaMae Humbert performed with the women’s chorus. They performed alongside students from Orleans, Genesee, Wyoming, Monroe, Livingston, Ontario, Seneca, and Wayne County. Students were selected based on an audition and recommendation from music teachers. The candidates were ranked by audition scores and the top ones were placed into the appropriate ensemble. NRW chorus director Christine Schwind lauded the students’ talent and congratulated them on a fantastic performance.